Now that you have a little better understanding of some of the functions of physical and data link standards, the next section focuses on Ethernet in particular. This chapter covers some of the basics, while Chapters 9 through 11 cover the topics in more detail. In this section of the chapter, you learn about the three earliest types of Ethernet networks. The term Ethernet refers to a family of protocols and standards that together define the physical and data link layers of the world's most popular type of LAN. Many variations of Ethernet exist; this section covers the functions and protocol specifications for the more popular types of Ethernet, including 10BASE-T, Fast Ethernet, and Gigabit Ethernet. 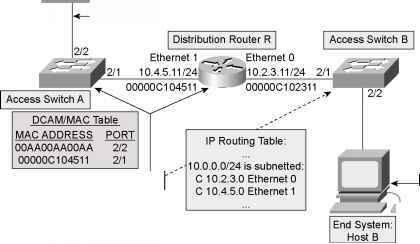 Also, to help you appreciate how some of the features of Ethernet work, this section covers historical knowledge on two older types of Ethernet, 10BASE2 and 10BASE5 Ethernet.